Day 2: Depart For Nyungwe National Park :After breakfast, depart for Nyungwe National park which takes about 6 ½ hrs drive via Butare visiting enroute, the famous National Museum at Butare and the ancient King´s Palace at Nyanza. The museum was donated in 1989 by the Belgium government with some ethnic collection, the design and concept all realized in co-operation with the Royal Museum for Central Africa of Tervuren; Belgium. See, traditional ceramics and basketry are still manufactured and belong to the finest handicrafts of the region. The National Museum remained surprisingly untouched during the civil war in 1994.Have Lunch in Butare and thereafter go to Nyungwe national park arriving for dinner and overnight at your Hotel. Day 3: Chimpanzee Trekking and Nature Walk: Take morning breakfast, carry lunch, drive to this Park; where you will trek two species of in Africa, the Bonobo and the Common Chimpanzee Pan troglodytes (often shortened to Chimpanzee, and sometimes referred to as the Robust Chimpanzee). The largest remaining populations occur in central Africa (Gabon, DR Congo and Cameroon). There are bout only 400 individuals, however; it‘s not guaranteed to see the chimps as they are unpredictable and can move long distances in one day. Go for an afternoon nature walk visiting Kamiranzovu waterfall. The forest comprises amongst many things at least 200 tree species over 280 bird species and more than 100 different types of colorful butterfly which make it a true feast of the senses for the nature lover. Later return for dinner and overnight at the Nyungwe Forest Lodge. Day 4: Colobus Monkey Tracking and Canopy Walk : After breakfast today with your packed lunch we head again to the National Park, view the Colobus monkey trekking. Have your lunch then go for the canopy walk which sets 50 me­ters above the ground with a 150-meter walkway and is the first of its kind in East Africa and third on the continent after South Africa and Ghana. It allows visitors to see the forest from above the trees and be at eye level with birds and monkeys that inhabit the upper storeys of the forest. Return to your Hotel/lodge for dinner and overnight. Day 5: Depart For Kibuye : After breakfast you will depart for Kibuye which lies at the eastern tip of Lake Kivu, Eucalyptus trees line the road, while every corner of the hills is terraced with bananas. Villagers smile and wave; you’ll end up with hands tired from waving, and feel like royalty at the end of the trip! Arrive for lunch at Moriah Hills Resort then take a boat trip to the island of Amahoro Napoleon’s island -with its’ colony of fruit bats (aptly known as one bar island as all it has on it is one bar). Deeply incised creeks, towering mountain ranges and islands offer a magnificent panorama. Dinner and overnight at Moriah Hills Resort. Day 6: Depart For Gisenyi : After breakfast ,go to Gisenyi, the largest port on Lake Kivu arriving in time for check in and lunch at your hotel. Swim at Lake Kivu, the African Great Lakes which lies on the border between the Democratic Republic of the Congo and Rwanda.The afternoon is spent in this largest port on the Rwandan shore of Lake Kivu (You will be in the company of our guide to show you around). Enjoy a boat ride to one of the islands in Lake Kivu. Simply explore the town, enjoying the hustle and bustle of the local market or wander through the leafy streets admiring the old colonial buildings .Dinner and overnight at your hotel. Day 7: Depart For Ruhengeri : After breakfast you will depart for Ruhengeri with a stop at the Imbabazi Orphanage- Rosamond Halsey Carr (1912-2006) founded the Imbabazi Orphanage in 1994, with more than 400 children but however the children’s home was closed down by the government owing to the fact that this does not match the Rwandan beliefs. Watch the local dancers and enjoy the traditional way of local entertainment. This is Rwandan traditional dancing; and guests will enjoy the performance and later be given an opportunity to join in the dance. Continue to Ruhengeri area the second largest town in Rwanda, with its stunning backdrop of the five volcanic mountains – The virungas arriving for check in and lunch. 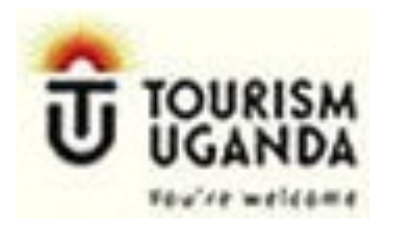 Depart for the twin lakes of Bulera & Ruhondo- located at the base of volcano Muhabura and close to the border with Uganda. 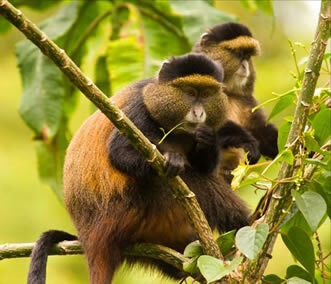 They are surrounded by steep hills with a backdrop of the Virunga volcanic mountains. These twin lakes are great spots to be visited and used to be referred to as neglected gems but things have changed and Bulera and Ruhondo are a place not worth missing out on. Their deep blue waters ringed by steep hills and tall waterfalls with the outlines of the nearby Virunga Volcanoes provide a spectacular backdrop. Get to the view point then return to your hotel for dinner and overnight. Day 8: Gorilla Tracking : After an early breakfast /carry packed lunch, you will proceed to the National Park headquarters – Kinigi to meet your guides for a briefing, embark for gorilla tracking up to six hours or longer at a relatively high altitude. We encourage for your own enjoyment to make sure that you are perfectly fit and healthy. (We’ve had people as old as 70 years old do gorilla tracking so this should not be a problem; all you need is to ask your driver guide to request a shorter group for you if cannot you trek far) It is important to bring good hiking boots, long trousers, gloves for protection against stinging nettles, some snacks & sweets (for you, not the gorillas) as well as sufficient water as the rain forest gets hot and humid during the day. You will spend one hour with the gorillas, but it is an hour you will never forget. Return to your Hotel for lunch and later dinner and overnight. Day 10: Bisoke Hike: After an early breakfast and with your packed lunches; you will depart for Kinigi and on to the starting point of your hike. Mt Bisoke stands at 3700m; it has the typical conic shape of a “perfect” volcano and in its crater lays a deep crater lake. Hike between 5 hours and the whole day depending on the speed of the walk and the frequency of stops. The ascent typically takes around 3 hours. During the climb, you will cross a series of different vegetation habitats starting with bamboo forests, then moving into Hagenia – Hypericum forest and finally moving through Senecio – Lobelia bush near the summit. Porters can also be hired from the park headquarters but a professional guide from the park will accompany you for the hike. Return for dinner and overnight at your Hotel. Day 11: City Tour and Departure: After breakfast, depart for Kigali and take a complementary city tour to visit interesting spots which may include; the craft market, Gisozi genocide memorial site & Kigali museum. Also engage in last minute shopping in one of the friendliest African capitals, before returning to the airport for your onward international flight back home.